To better appreciate the artistic, cultural and gastronomic tradition of an area it is fundamental to rediscover the local products. 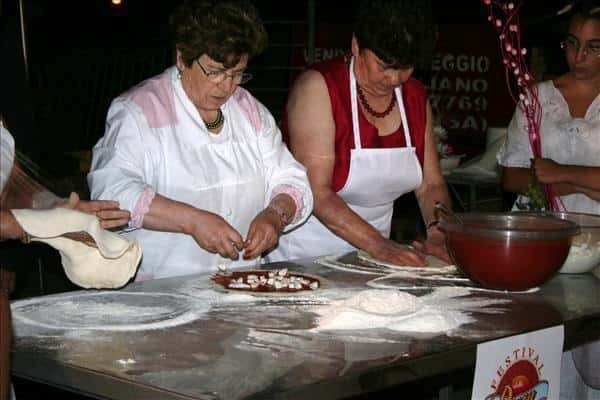 The summer programme arranged by Comune di Tramonti included some interesting events aiming at this purpose: the Pizza Festival - (on August 8th -9th), the Wine Festival - (on August 11th - 12th), and "Goblets of Stars on August 10th. On the occasion of the "Pizza Festival", the mayor Armando Imperato, the journalist Mario Amodio and the historian Ezio Falcone held a press conference. After the opening greetings, Mr Falcone accurately explained the history of the "pizza" and its etymology, from the Roman "pitea", made by "pistores" (the ancestors of the actual bakers and pizza makers), the "panem et condimentum" (a pizza made with wholemeal flour, fat and onions), up to the well-known "pizza margherita" (in honour of Queen Margherita), made by Raffaele Esposito with tomato sauce, "fior di latte" and basil, to remind the colours of the Italian flag. What to drink with a good pizza? The oenologist and gastronomer Mr Emanuele Sepe, recommended us a good glass of wine from local vines. 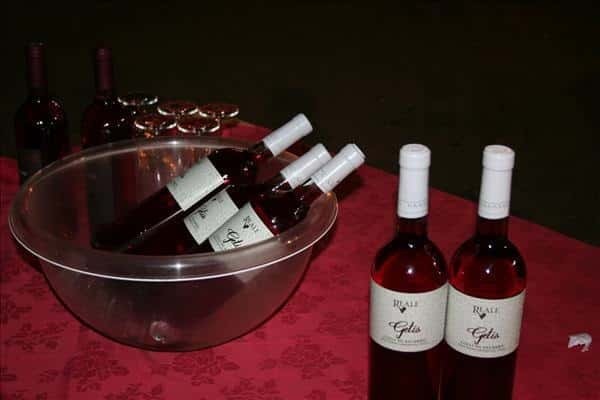 And that's what we had: Getis IGT produced by Azienda Agricola Reale (tintore and per'e palumm grapes) and Tramonti Rosato DOC produced by Azienda Agricola Giuseppe Apicella (piedirosso and sciascinoso grapes). At the end of the press conference, we had the chance to taste a fabulous pizza made in the wood ovens installed in the main square. The tradition of the pizza is a natural and ancient vocation for the inhabitants of Tramonti and thanks to over 3000 pizzerias opened by people emigrated in the North of Italy, after the Second World War, the famous pizza of Tramonti is now well-known and appreciated in the whole country. Tramonti is a tasty and divine place!